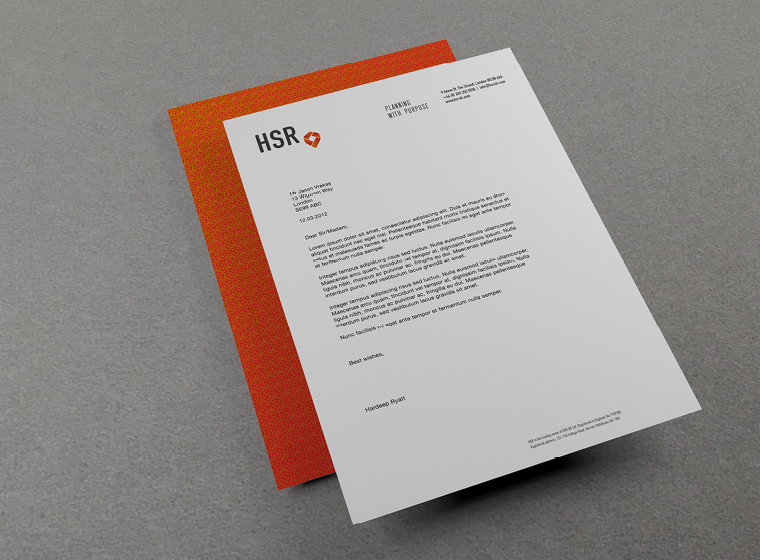 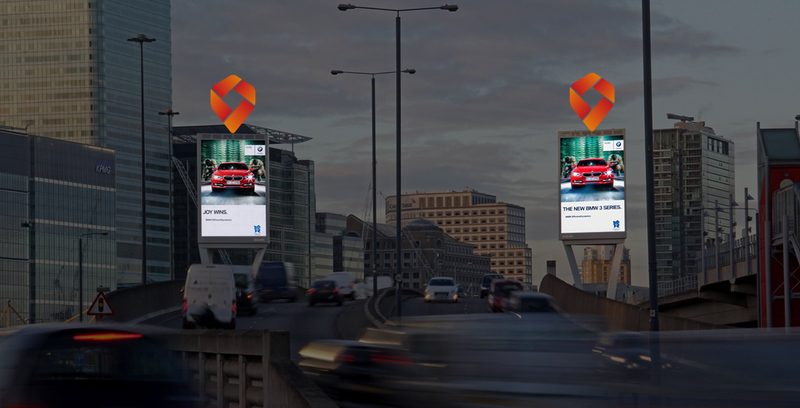 HSR is a chartered town planning consultancy that specialises in advising and helping companies gain planning permission for large outdoor media sites. 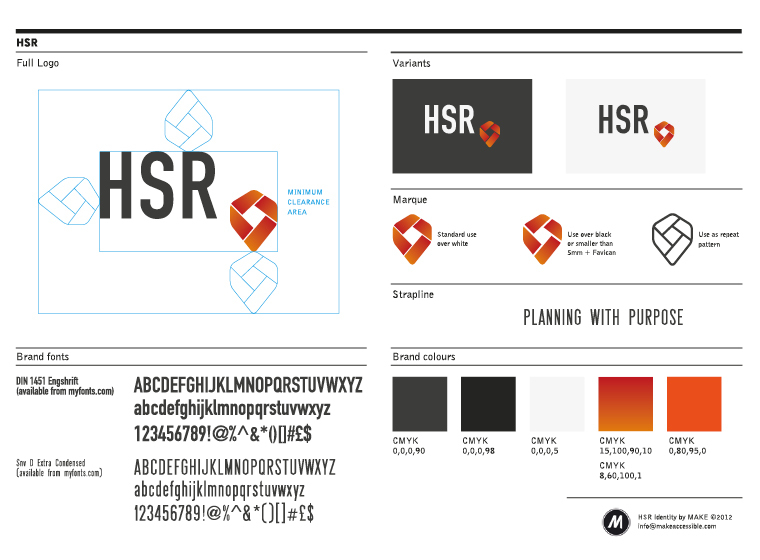 Initially I was requested to produce an identity involving a lion as the owner's name translates as such but looking at the potential brand associations a lion brings – strength, courage, bravery – we realised maybe these weren't so useful for a company that is more involved with meticulous attention to precise, legal details and technical wranglings with council organisations. 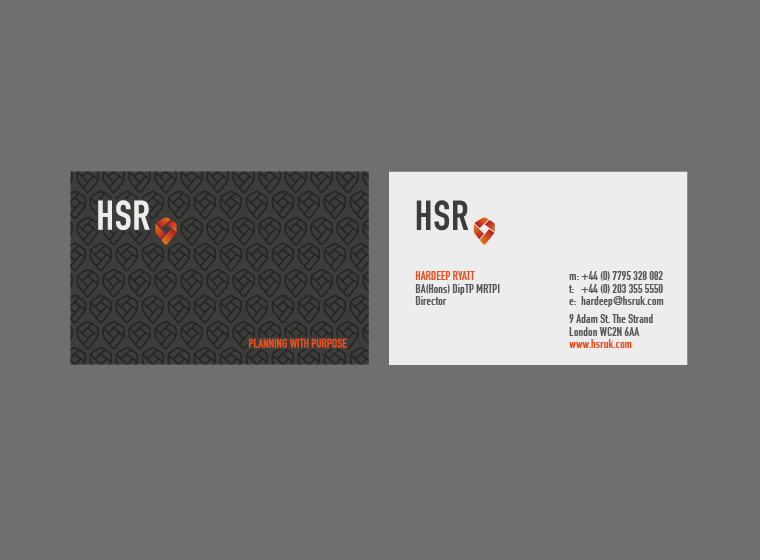 With the work done by HSR in gaining consent for these advertising sites, their location is everything. 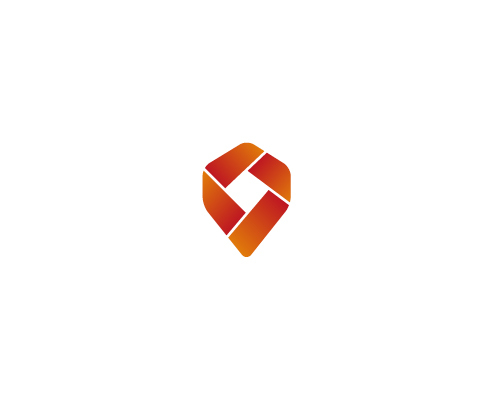 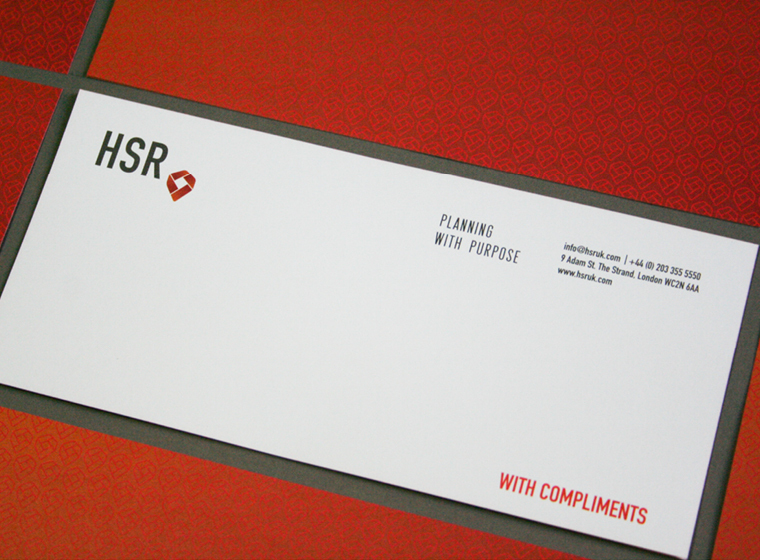 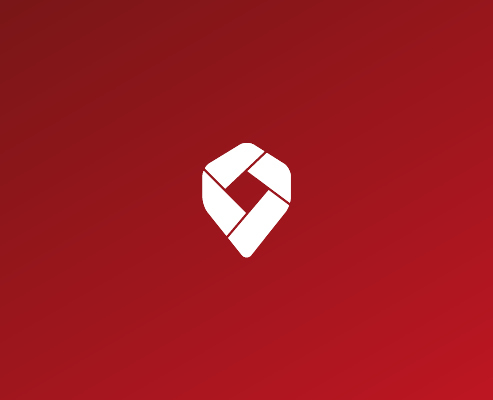 To reflect this the brand identity incorporates a re-working of the well-known map pin icon. 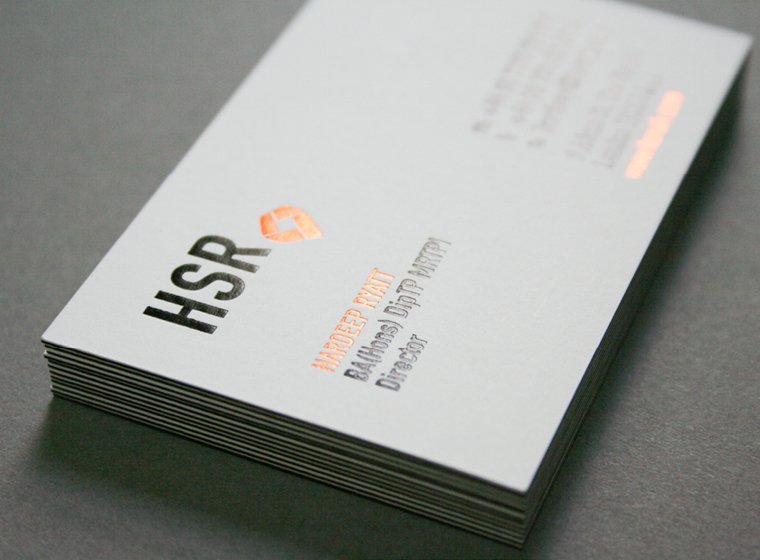 The pin was designed to also resemble a sash or ribbon with a Sikh regal feel to reflect the owners background. 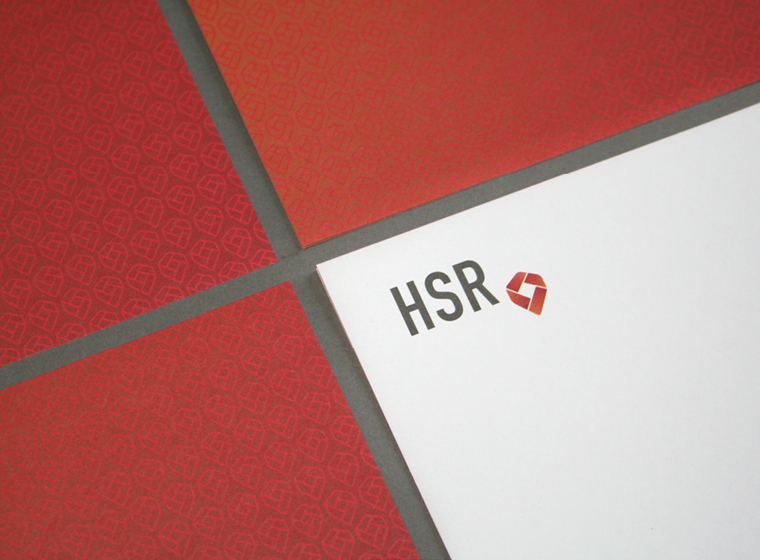 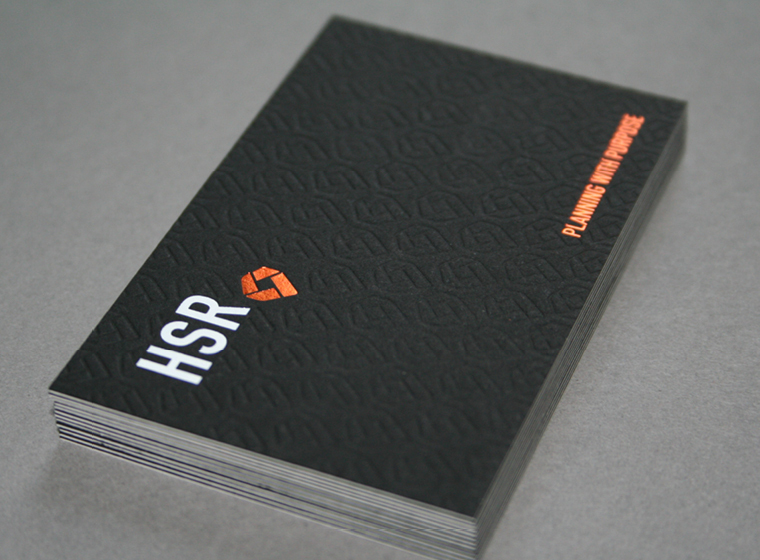 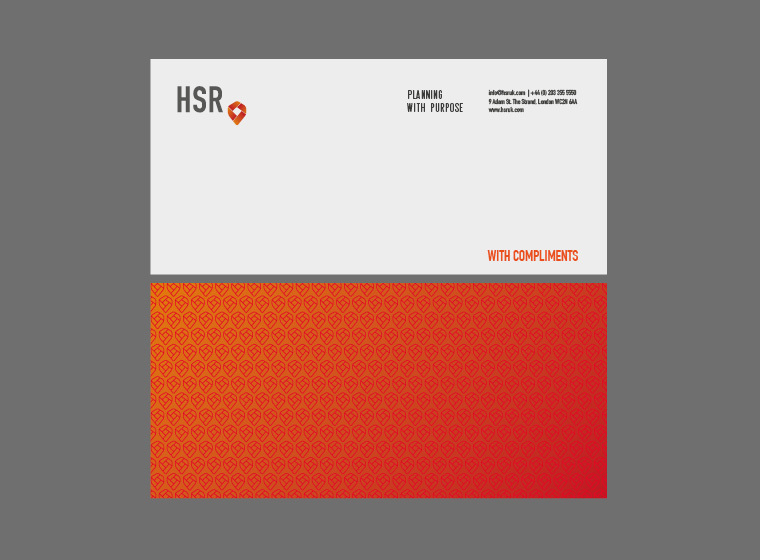 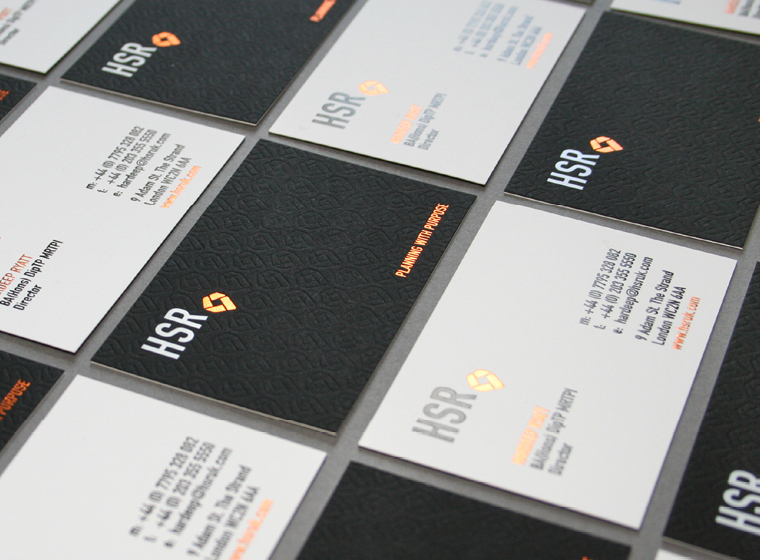 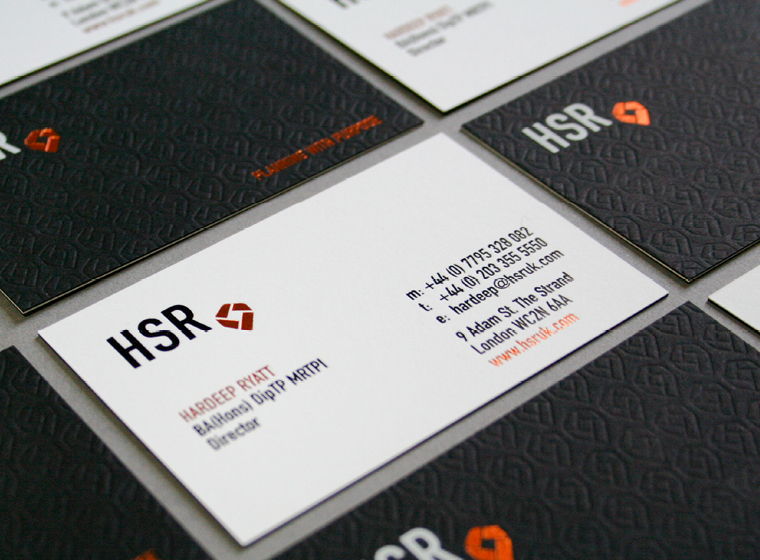 Items designed included orange foiled business cards with a debossed repeat-pattern onto grey and white duplexed card, compliment slips with an orange version of the repeat pattern, letterhead, including Word digital template and digital brand guidelines.